You’d be hard-pressed to find a place with more history than Rome – and you might just enjoy the scenery, too. Cruise 1st Australia has some fantastic deals on cruises visiting Rome this year and in 2015 – so head on over to our Mediterranean cruise deals page for some highlights. Alternatively, you can keep reading to find out why Rome should be on your ‘must-visit’ list for your next trip. Once the owner of a sprawling empire, Rome remains one of the most fascinating and beautiful cities you can visit – and it’s a stop on many of our Mediterranean and European cruises. At the top of many people’s to-do lists in Rome will, of course, be the Colosseum – Rome’s 2,000+ year old gladiatorial arena that is arguably the most striking monument to the city’s history. It’s one for the architecture fans as much as it is for historians. St Peter’s Basilica is another highlight – the shining example in a city of magnificent churches. Originally built around 349 AD, the Basilica was restored to its current form in the late 1500s. You can also visit the Tomb of St Peter beneath the basilica. Another good one for history fans is the Pantheon, a 2,000 year old temple that is probably the best-preserved monument in Rome. You’ll find plenty of museums dedicated to the city’s history, too. And of course you’ll be able to sample true Italian cuisine – there are countless places serving real Italian pizza and pasta, some of which are real gems. Cruise lines currently offering trips to Rome include Norwegian Cruise Line, Cunard Cruises and Celebrity Cruises. You can see the latest deals on cruises visiting Rome on our Mediterranean cruise deals page. You can also use the search tool for other cruise itineraries stopping at Rome – everything from short trips including flights to cruises lasting several weeks. 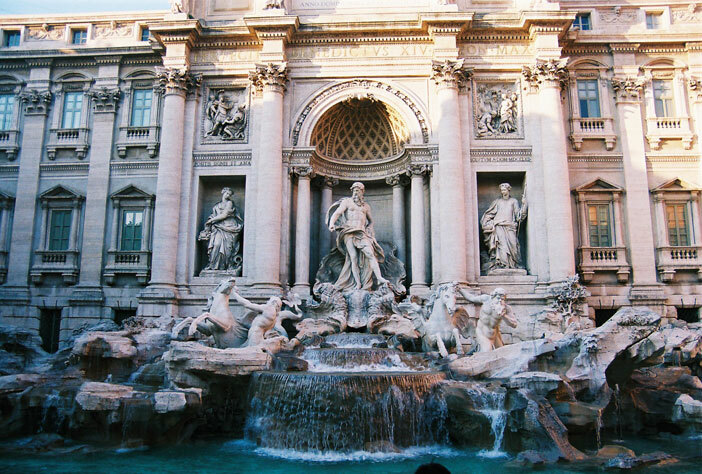 This trip begins with a flight from Australia, before you embark on your cruise from Rome. You’ll then visit Katakolon (Greece), Athens, Izmir (Turkey), Istanbul, Naples and then back to Rome before your return flight. After your flight from Australia, you’ll cruise from Athens and visit Valletta (Malta), La Goulette (Tunisia), Palermo (Italy), Naples, Rome, Livorno, Monte Carlo, Monaco, Toulon, Barcelona and back to Rome. You’ll then return to Australia by flight.